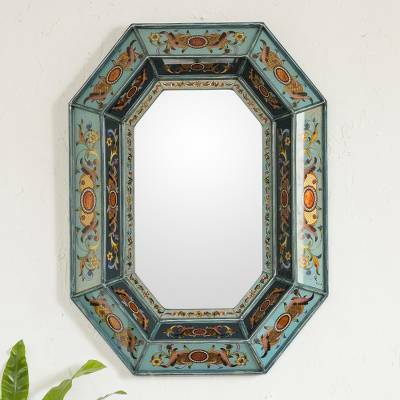 Hand Made Painted Glass Wall Mirror, "Nautical Blue"
Classic medallions adorn a wall mirror in shades of nautical blue. A traditional Andean form of art, this is a superb example of reverse painted glass. The elegant signature piece comes from Peru's Edmundo Contreras.